Which is easier to play, ukulele or guitar? It’s a common question for people interested in learning a stringed instrument. In this short article, I’ll take a look at which instrument is easier to learn and play for beginners. This article summarizes many of the points from my in-depth article on the differences between ukulele and guitar. I think that the ukulele is easier to learn and play for a number of reasons, which I dig into below. Keep in mind that this article isn’t about which instrument is “better.” It’s about whether the uke or guitar is easier to learn and play. I love both instruments but I think the ukulele is easier to learn for beginning musicians. The ukulele has two fewer strings than a guitar. This is less to think about when getting started, and it also means there are lots of simple one- and two-finger chords on the ukulele. 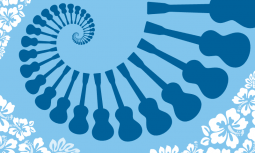 Ukuleles have soft, flexible strings that are much gentler on fingers than the steel strings of a guitar. A ukulele’s strings are easier to push down and don’t “dig in” to the players fingertips as much as steel strings do. While the discomfort of playing a guitar goes away as you build up calluses, the ukulele is always going to be an easier instrument to play. The soft material and short scale of a ukulele mean that the strings have a lower tension than a guitar. “Low tension” just means that a ukulele strings feel less tight and are easier to push down when playing. The shortened scale of a ukulele means that the frets on a ukulele are much closer together than a guitar. A shorter scale requires less stretching to form certain chords, which is nice for beginning players. The short scale is especially helpful for children and players with smaller hands. 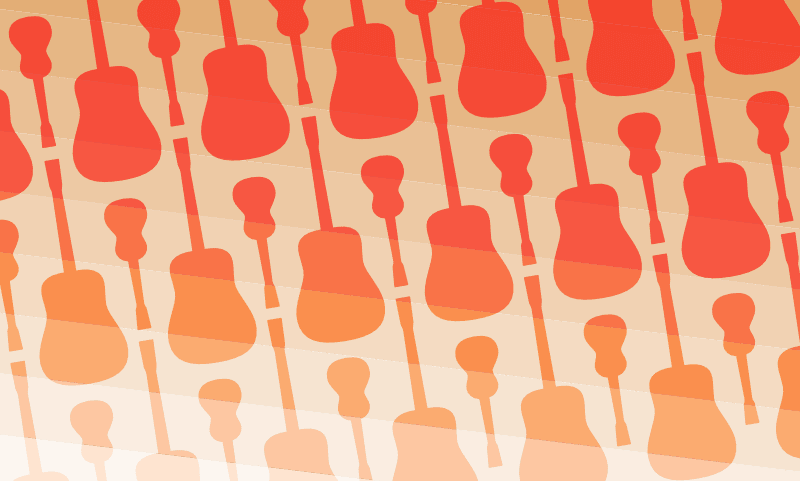 Ukuleles are around 35% to 50% smaller than a guitar. Their compact size and light weight means that they’re easy to hold and play for just about anybody, including children. I’ve also found that kids love having an instrument that’s “their size” instead of trying to play a guitar that feels way too big. There are smaller kid-size guitars available, but in my experience the quality of these instruments is usually pretty rough unless you get into the realm of high-quality mini guitars like the Baby Taylor or Little Martin. While this doesn’t really factor into being easier to learn or play, it’s still worth mentioning. You can get a really good beginner ukulele for $50 to $100. This might seem like a lot, but in the world of stringed instruments it’s actually very reasonable. Decent beginner guitars start at around $150, and they often need adjustments and setup work before they’ll play comfortably. Ukulele Vs. Guitar: What's The Difference?